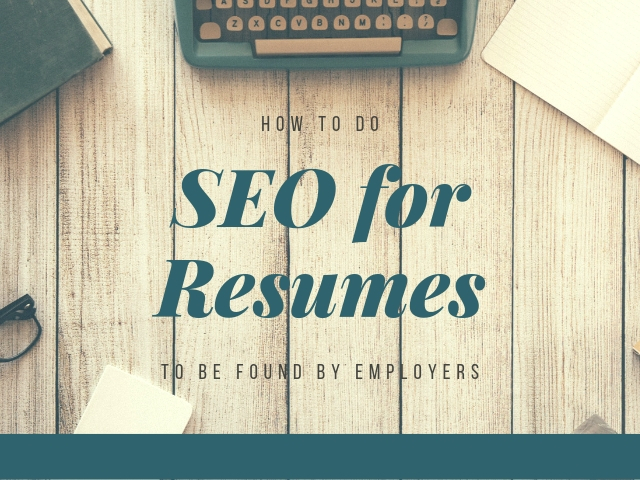 Doing an SEO for resumes is not that difficult. Scroll down the article to know more about it. Focus more on highlighting your skills. Involve those keywords that the company is searching for. Contact details. It involves phone number, residential address, and mail ID. Accomplishments and achievements. But be precise otherwise you may be in trouble. Educational qualifications. It includes your percentage of class 10th, 12th, and degree. It lays importance on the date-based job description. All the past jobs are mentioned as per their date. You can list all your achievements according to the date. Mention it separately. You can select this style if you have had continuous jobs. If there was any gap in between two jobs, then this style is not for you. It is best for those who want to change their profession. They can also show the gaps in their career. It has an accomplishment section for the benefit of the individual. One can mention his transferable abilities in it. This style requires the person to mention his achievements too. The resume summary statement is generally not given due attention. But it is a core element. Every recruiting manager pays attention to it. So, you should definitely include it in your resume. Firstly go through the job description. It will give you an idea. Also, do mention all your accomplishments according to the employer’s needs. It should not be more than 3 sentences. You can use incomplete sentences. Many employers love to get a quick review. Express too much with fewer words. Take help from your job description. It will work as a reference for you. You have to share your work experience as per the date. Each and every detail should be expressed in chronological order. In this style, more importance is given to the time and date. It lays emphasis on the work. There is no space for the date of work. Don’t forget to add an accomplishment section. It should be presented in bullet points. Simply list your work experience in your resume. You can mention your past employment titles. Remember that a meaningful cover letter and resume takes time and energy. Do the proper analysis and develop a good resume. Check the website of a company. It will help you to know about the expectations of the company. You have to mention your keyword rankings. Statistical figures are always loved by people. Tell your recruiter about your future plans. Have some space for your hobbies and passion. Know about the tradition or culture of the company. If you follow it, you will end up impressing the recruiter. Mention your ideology about your field. Your opinions will help you in getting a good job. A website is inclusive of too much information. But it won’t be found unless it has proper keywords. Same is the case with resume. Your resume should include all those keywords that are used by recruiters and employers. Many employers now use a tracking system. It properly analyzes keywords. It should be used to scan a proper context. You should use clear and relevant keywords in your resume. It will improve your skills and will get you the job. It is very important for you to choose the right keywords. The best way to do that is to review job postings. You can also take help from the impressive LinkedIn profiles. Many readers don’t find any website simply because it does not have a proper heading. You should give a proper heading to your website. Give an amazing heading that will attract your recruiters and managers. Your recruiters should easily get to know about your qualifications. Make yourself worth considering. You should highlight your job titles. You should also include short phrases. It will be far better than putting the names in bold. In short, you have to write an exciting resume. Use proper language which will end up helping you. Experts have accepted the fact that relevant hyperlinks provide great help to the user. They improve the readability of the page. They also improve page rank. As far as resume is concerned, hyperlinks work as a shred of evidence. They prove that the candidate is appropriate for the required job. You have to add links to all the articles you have written. It will be better if you can add a link to your portfolio, apps and other creative things. Presently the concept of the video resume is on demand. You can create your online CV too. Social media allows readers to have a look at your content. They can share, like, or comment on your content. It will help you to showcase your personality. You can include the level of your industrial knowledge. In short, you can enhance yourself. Your LinkedIn profile should be updated always. It occupies the top position. Every employer focuses on a LinkedIn profile. He will come across your connections and recommendations. Other than that, other social networking sites are also good. They are Twitter, Facebook, Instagram, etc. Your content should be very informative. It should be properly developed and written. Keep this in mind while creating your resume. Try to have a brief resume. Your resume should be short, precise and sweet. It is the key to impress the hiring manager. Everyone knows the importance of a resume. Don’t underestimate the power of it. It is a powerful tool which helps in finding jobs. Your resume should be properly formatted. It should have bullets, table, and list. Also, divide your text into paragraphs. It looks nice. Your resume should have a header. Make lists and paragraphs. Also, your paragraphs should be short and simple. You should take care of your reader. Develop your resume in such a way that it impresses your reader. All your important information should reach the reader. Your resume should be organized and systematic. Each and everything should be written properly. Your resume should have the caliber to catch attention. You have to create an impressive and engaging resume. To do this, involve your achievements in your resume. Mentioning your unique and extraordinary things will automatically enhance your resume. The common mistake everyone does is to include irrelevant information. Remember that a resume is used for professional purpose. You should not write anything personal in it. There should not be any space for your religious or political views. Don’t mistake by mentioning any controversial information about you. Don’t create a lengthy resume. You should know the art of expressing everything in few words. Even experts have accepted that the resume should be short and sweet. It should not exceed more than 2000 words. You have to be systematic and organized. You have to have a system that will help you to track the employers. Make a separate list of those employers who reverted back. Also, make a list of those who didn’t revert. You have to be goal oriented. You need to be highly patient. You may get frustrated because of the hectic procedure. Chances are that you may feel negative and unproductive. It will be suggested to you to make short term goals. You may plan to send resumes to potential employers. You have to constantly keep on searching. Also, take help if you think you need any. Take responsibility for your own job. Be an active searcher. Keep on finding various alternatives. Try to know more about available opportunities. Make contacts with people. You won’t believe but your networks help a lot. You have to become your own marketer. Yes, there is so much importance of self-promotion. Experts suggest people to use social media sites to promote themselves. Be professional. Tell the world about your skills and talents. Use the social media platform. Make many followers. When you promote yourself, you get more chances. You will end up getting good job opportunities. You have to have some opinions. You should always seek opportunities and alternatives. You should know whether you love your occupation or not. Don’t confine your knowledge to only your occupation. Try to know about similar occupations of your industry. Experts have said that it works. So, you will be highly benefitted if you follow the tips and suggestions. Your resume should not have any grammatical mistake. Always have a fresh resume. Old resumes may not work. Don’t include extra or unwanted information. Write the objective that matches your job position. Proofread your resume again and again.